Announcing another book club meeting! 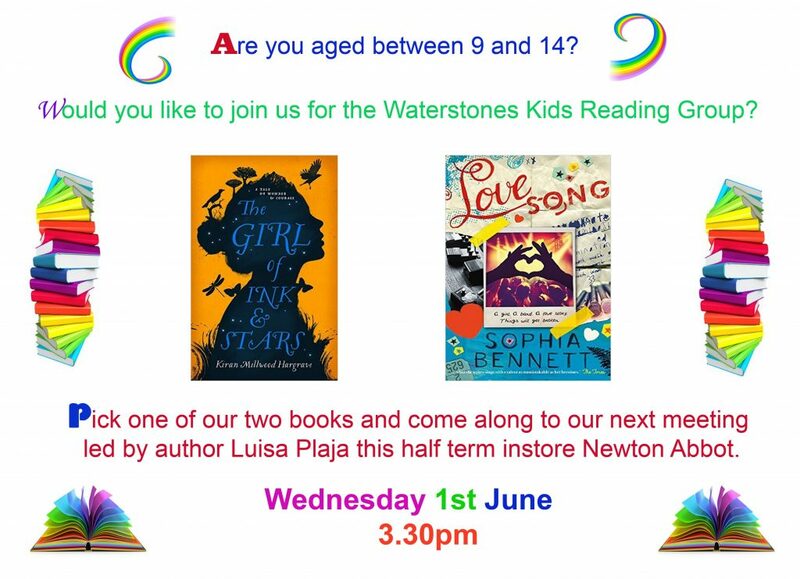 Please join us at Waterstones Newton Abbot from 3.30pm on Wednesday 1st June 2016. This month we’ll be talking about Love Song by Sophia Bennett and The Girl of Ink and Stars by Kiran Millwood Hargrave. I can’t wait!